The authors of this volume are the members of Rice University’s Center for Engaged Research and Collaborative Learning Writing Collective: Anthony B. Pinn, Jessica B. Davenport, Justine M. Bakker, Cleve V. Tinsley IV, Biko Mandela Gray, David A. Kline, Jason O. Jeffries, Sharde’ N. Chapman and Mark A. DeYoung This volume builds on scholarship by scholars of African American religion that emphasizes the centrality of the body in religion and religious experience. The argument is grounded in Anthony Pinn’s understanding of religion as an embodied quest for complex subjectivity, or push for more life meaning. But if Pinn’s theory gets at what religion is, this volume picks up where he left off by giving careful consideration to religion’s forms. It interrogates the embodied nature of the quest for complex subjectivity. Through placing different theories of the body in conversation with specific case studies that reflect the variety of ways in which bodies are entangled and engaged in struggles for life meaning, the authors argue that African American religion takes on various forms, including modes of cultural production as well as mundane, everyday rituals and practices. The volume expands current scholarship on African American religion and embodiment by going beyond an understanding of black religion as the “Black Church” and underscoring the variety of religious experiences, in both marginal religious traditions and in non-traditional forms of religion. The sustained and rigorous attention to theories of the body in this volume allows for a more robust understanding of what the body is and takes scholarship beyond the implicit understandings of the body as solely discursive. Finally, the approach is interdisciplinary. While grounded in Religious Studies, this book puts various theories and methodologies—from the social sciences to philosophy, and from visual studies to literary studies—in conversation with the religious experiences of African Americans. The introduction to Embodying Black Religion discusses the reason for the text’s emergence as well as its scope and trajectory. 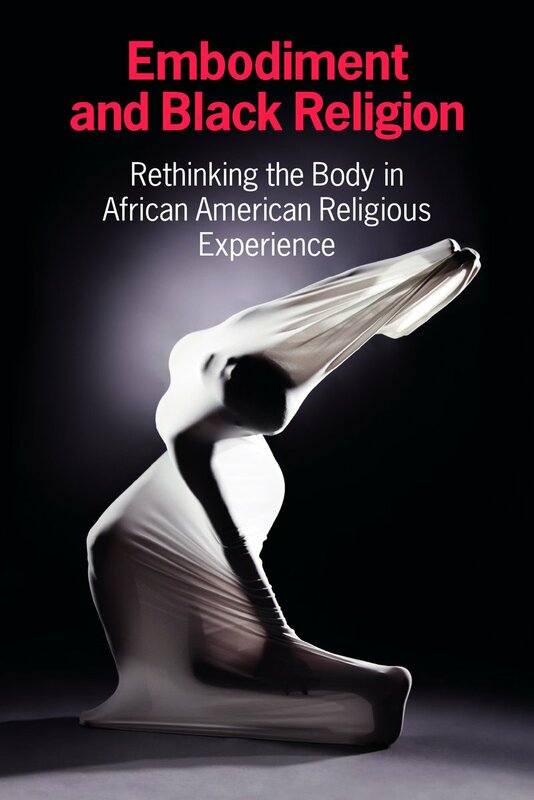 Surveying the two areas in African American religious studies where the body has been given the most attention—theology and ethics—we conclude that much of this theological and ethical work provides limited and narrow attention to the nature of embodiment. Such work calls for a more expansive conceptual and theoretical framing of both the body and religion, and we find a strong set of building blocks in Pinn’s work. His theory of religion as the quest for complex subjectivity provides an effective theoretical starting point from with which to further explore the nexus between religion and the body. The first chapter, “Heaven Knows No Color: Hybrid Bodies in Father Divine’s Peace Mission Movement,” suggests several pictures of Mother and Father Divine, shot during their wedding day and artificially altered in such a way that both seem to have a similar, off-white skin color, should be understood as a performance that aims at creating a new racialized identity of hybridity. This argument puts bodies at the center of Divine’s post-racial imaginaries, and demonstrates a turn towards bodies – through these images – permits a new understanding of Father Divine’s post-racial imaginaries. The second chapter, “Arm, Leg, Leg, Arm, Head: This is God body,” suggests the body is central to, in, and for Five Percenters religion – given that Five Percenters consider the black body proof of God’s existence and central to gaining what is known in the movement as “knowledge of self”. Through an analysis of Jean Michel Basquiat’s artwork, we point to the function of visual art by arguing that Basquiat’s images of bodies without organs, or deconstructed bodies, reflect an understanding of the body that is fluid, undefined, and ever-changing. Basquiat’s paintings thus “re-present” black bodies and black life beyond fixed, stereotypical depictions. We continue to interrogate the religious significance of creative reconstructions of the black body through cultural production by turning to two literary depictions of black women in Chapter 4, “Unchained Bodies: Female Embodied Experience and Radical Subjectivity in Black Literature.” Here, we posit that the female protagonists in Toni Morrison’s Beloved and Octavia Butler’s Wild Seed assume “gender fluid” identities that subvert patriarchal and white supremacist constructions of black women’s bodies. In Chapter 5, “It Was Written on Her Face: Religion and Black Women’s Embodied Emotion in Film,” we maintain our specific focus on depictions of black women’s bodies, although from a slightly different angle. That is, while our larger emphasis in Chapter 4 is the religious significance of black women’s resistance to demeaning discursive notions of black women’s bodies, our focus in Chapter 5 is more on the material body. In turning attention to Ava DuVernay’s silent short film, The Door, we trace the ways in which the quest for complex subjectivity plays out through the embodied emotions displayed by the black women characters in the film. More specifically, we argue that DuVernay’s cinematic emphasis on their subtle facial expressions and bodily movements produces visual renderings of black women with emotional depth and dimensionality that eludes strict lines of representational categorization. Chapter 6, “‘School Daze’: Embodiment and Meaning-Making in Black Greek Letter Organizations,” we give critical consideration to how black religion as the quest for complex subjectivity is worked out in the context of community and social traditions. In particular, we argue that the embodied practices of “branding” and “stepping” in Black Greek Letter Organizations (BGLOs) make these social spaces analogous to religious institutions, such that they signify processes of identity construction and meaning-making among their members, especially in the larger context of discrimination and limited life-options often experienced by black college students. Using the events and controversies surrounding Trayvon Martin, Rachel Dolezal, and Sarah Valentine as case studies, Chapter 7 argues that dress and fashion are sites for both restrictive discursive constructions of black embodiment as well as expressions of the quest for complex subjectivity. Through Frantz Fanon’s understanding of the “historico-racial” schema that “fixes” bodies within an array of stereotypes and myths, this chapter begins by showing how fashion and dress can produce limited and/or dehumanizing understandings of identity, subjectivity, and embodiment. We then demonstrate how individual constructions of “fashion subjectivity” constitute an embodied push for meaning and more expansive ontological possibilities. Chapter 8 argues that black veganism can be understood as a form of religious meaning-making. Black vegans’ food practices and belief systems are seen as a religious form of resisting the legacy of slavery that equated enslaved Africans with animals. By abstaining from eating animal products, black vegans see themselves as refusing the system that once enslaved them and continues to objectify and dehumanize black bodies. 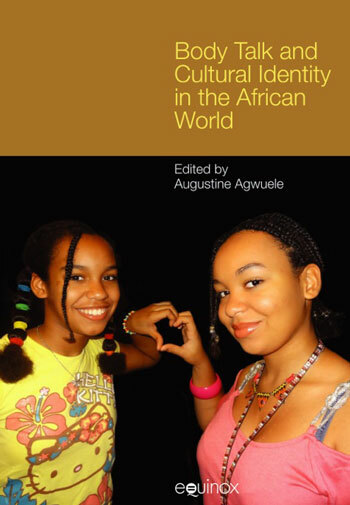 Chapter 9 argues that contemporary understandings of racial genetics and its links to identity construction can function as part of a stronger push for an expanded sense of meaning. Looking at the practice of African American “ancestor tracing,” this chapter shows that knowledge of the body at the genetic level—which stands as an expansion of the biochemical dimension of the compound body—provides an occasion for experiencing the mysterium tremendum. The epilogue to Embodying Black Religion provides suggestions for future and new directions of research. 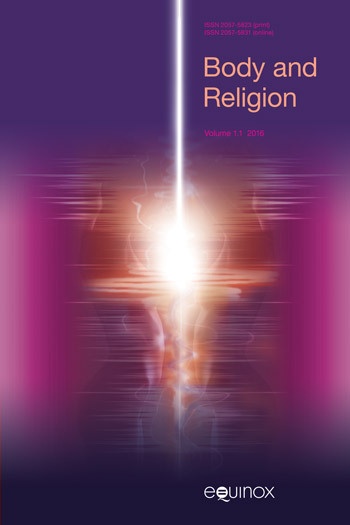 The authors suggest different ways in which the relationship between the body and the religious can be understood and explored.